An active and living tradition of oral storytelling still exists in Syria and in other countries of the Middle East. These folktales have existed in oral tradition throughout generations and capture social and moral values, entertainment and heroic epics. They can be considered as a common denominator for solidarity across ethnic, geographic, and religious boundaries. To contribute to the preservation of this intangible cultural heritage, the al-Hakawati project was initiated by CHwB in January 2014. 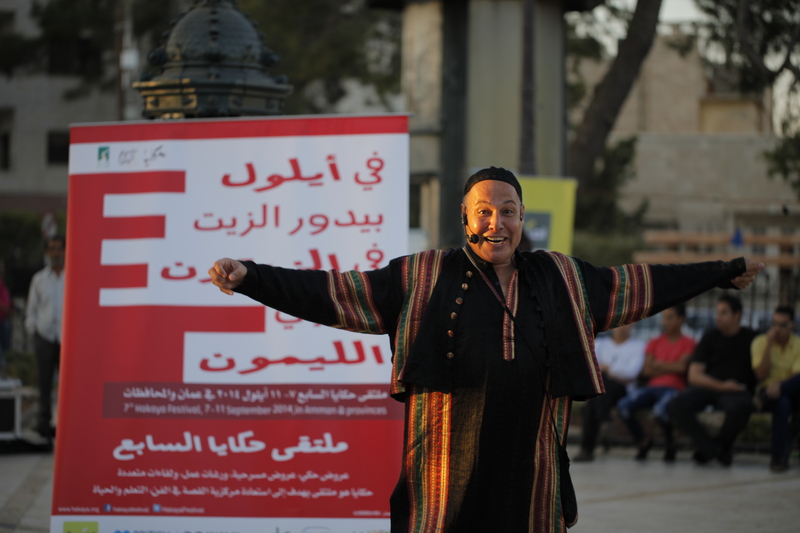 A close collaboration was established early between CHwB and the Hakaya network represented by the Arab Education Forum (Jordan), the Arab Resource Collective for Popular Arts – Al Jana (Lebanon), and Al Balad theatre (Jordan), and in association with Fabula Storytelling (Sweden). Within its framework, six Syrian researchers in Lebanon and Syria collected more than 250 stories and a selection of 21 traditional stories has been made and published in a bi-lingual (Arabic -English) anthology. 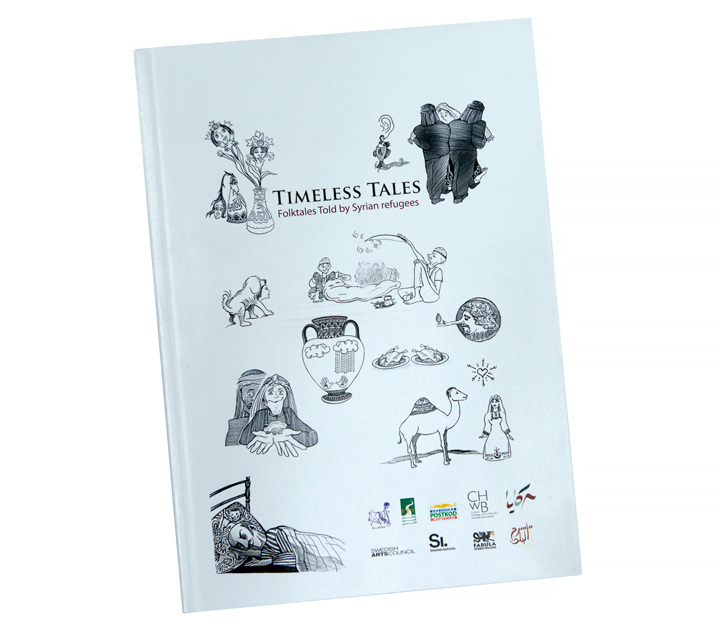 The anthology is not only meant to archive these stories, but give them a second life to be read and told by the new generations of Syrians wherever they are, as well as introduce the world to these exciting folk tales. They have been produced in Classical and colloquial Arabic, as well as translated into English. The anthology will be distributed as widely as possible in Sweden and in the MENA region, and will be accompanied by storytelling performances organized by our partners in Sweden, Jordan and Lebanon. The performances will ensure that these stories continue to live on in the hearts, minds and traditions of Syrians, host populations in the region and elsewhere in the world. Although Syrians are suffering from displacement, imprisonment, killing and destruction of their homes and livelihoods, many people were eager to remember and share their stories. The diversity of the traditions in these stories actually reflects the diversity within Syria itself, a richness that even astonished the lead researcher. 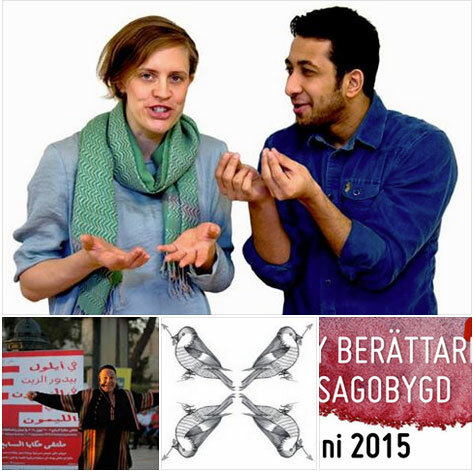 In Sweden the project has led to a greater knowledge of the Syrian cultural heritage and the bilingual performance has affected many spectators’ prejudices about the Arab world. In Jordan and Lebanon, results were beyond expectations. In addition to the immediate results of collecting the stories and producing the anthology, storytellers from the region have integrated some of these Syrian stories in their repertoire. The organizations working in the Syrian refugee camps are becoming aware of the deficit of simply using the UNICEF manual of ”psycho-social support” and the need to introduce more profound cultural activities that are relevant to the refugees. Currently all of the partners want to continue with the storytelling activities and complement them with training in storytelling, and writing, activities that have not been included in the psycho-social support scheme provided by humanitarian agencies in Jordan. This is a great breakthrough and will be extremely beneficial for the Syrian refugees, especially the children, youth, and mothers. To sum up, stories are what we are made of, and if we lose our stories, we risk losing touch with our humanity and our identity. We strongly believe that through the enhancement of this thousand-year-old heritage of storytelling the Hakawati project has a potential to bridge ethnic, political and religious divides and hopefully build better understanding between people all over the world.